I did get my MP run done this morning. I did not feel as good, nor was it as fast as last week, but I ran almost 6.5 at 7:49. That is good enough. This afternoon, I will do an easy double. I'm not sure how long, but something short. I'll let you know tomorrow what I actually ran. Today, I have thoughts that are weighing on me. As a public school teacher, it hurts my heart to see how unsafe our schools have become. Another school shooting and people seem to have a complete unwillingness to compromise on gun control. I am a gun owner. I support everyone’s right to protect their home, but we can’t bury our heads in the sand. We have to pass rigorous tests to get a driver’s license, but you can buy a gun without the slightest knowledge of how to use, clean or properly store it. Can’t we agree that gun ownership is a right protected by the 2nd amendment, but that, in an orderly, civil society, gun ownership must be regulated by at the very least common sense laws. For examples, a thorough background check should be completed before someone is allowed to buy a gun, no matter how long it takes to complete. You wait two months for your passport, why can’t you wait to purchase a gun? Some guns should be illegal to own? 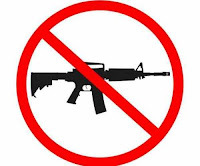 The AR-15 should be outlawed for public use or ownership. If you want to protect your home, I guarantee you that a shotgun will do the trick. It is so sad that this is what we have come to… If we can do nothing else, can we not ban the AR-15?